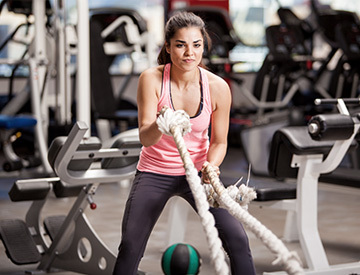 Fat burner advanced is the ultimate class to burn as much fat as possible in a single workout. Pilates is a system of controlled exercises that engage the mind and condition the total body. 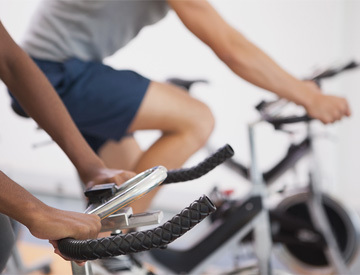 Spin is a non-impact cardiovascular workout that takes place on a stationary excerise bike. Over the past 20 years we have worked with every type of client and over the past 7 years have created a gym that we are proud of. When you come to Mazfit you are so much more than a customer, you are part of a wonderful extended family. I'm Maz and I'm the co founder of Mazfit. I started working as a personal trainer in 2003 for a large gym chain. Within a couple of years I was promoted to master trainer, responsible for a team of 15 trainers. I was also named trainer of the year for the southern region. In September 2008 I became a mum and by October we had set up Mazfit. Having already run several marathons I was looking for a new challenge. I started focussing on weight training and tweaking my nutrition plan to maximise results. This led me into fitness modelling and I was lucky enough to be on the front cover of a fitness magazine as well as having several articles published. In 2014 I was crowned supreme champion of miss galaxy universe and I came in the top 10 of fit factor, of which over 500 girls had auditioned. I've worked in fitness since 1997. After working as a club manager for a large gym chain I set up Mazfit in 2008 with Maz. My passions are football and golf and I've just started coaching my sons under 7s team. We also do karate together. Over the years I've run several marathons, competed in triathlons and had a go at most sports. I have taught Pilates for some 10 years and have many years of experience training for sports specific, injuries and disabilities. Amazing gym with fun and supportive people where you're made to feel welcome and part of the family. Excellent workouts with a guarantee of aching muscles for days after! Love it! I wouldn't call it a "gym", as it's much more than that, knowledge and support on different ways and most important of all is that you feel treated as an individual, lovely bunch of trainers and people! Great people with world class knowledge, like minded clients of all shapes and sizes, extensive variety of classes, pt options, something for everyone.